Through our digital concierge your guests have access to various services via their smartphone. Some late night dinner delivered to the room, a table reservation at the restaurant, an alarm clock for an early morning, a late check-out or a taxi to the airport - all a few clicks away and your guests have access to a broad spectrum of services. Integrate third-party services like external tour-guides to further increase revenues and guest satisfaction! 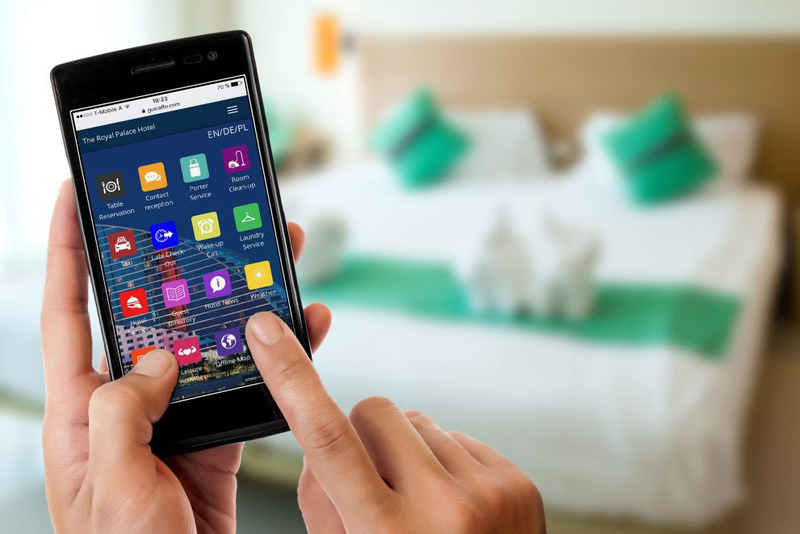 There is no need for an installation of the app, your guests can be automatically redirected to the mobile concierge when logging in to the hotel WiFi.